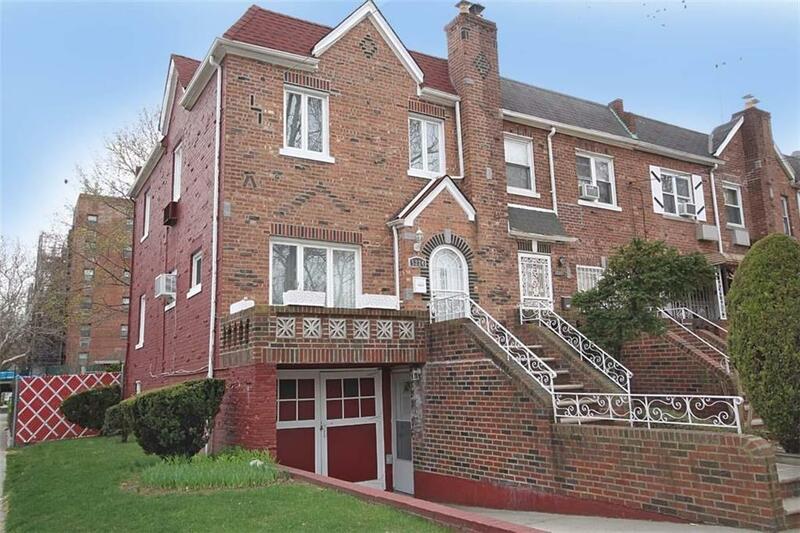 We are proud to introduce this corner brick beauty in the serene Flatlands/Old Mill Basin section of Brooklyn. This home features a 3 bedroom duplex, and 3 bathrooms. The kitchen was renovated 3 years ago and features gorgeous granite counter tops and high end stainless steel appliances and updated kitchen cabinets and features high end custom doors and updated Energy efficient Anderson windows. The home has high ceilings and a country classic style. Beautiful hardwood floors throughout, and 3 spacious bedrooms. The finished basement is street level and is warm and inviting. The home has a 3 year old roof, and updated mechanicals. The home has a private driveway and built in garage that can accommodate a mid size car. The back yard is park like and ideal for entertaining and can be incorporated with the side yard.